Concrobium® Duo Blast™ is a powerful cleaning solution that targets tough and embedded mold and mildew stains on outdoor and indoor surfaces. Perfect for black mold stains. 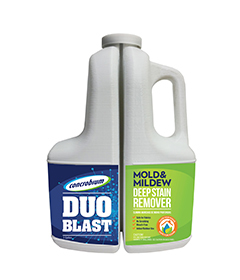 Duo Blast is a ready-to-use cleaner that is composed of two liquids that, when combined, create a powerful solution that targets and removes the toughest embedded mold and mildew stains with NO SCRUBBING. Test on an inconspicuous section before using. 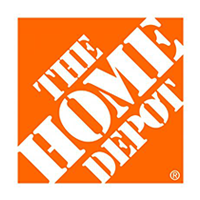 Pour entire contents into a vented pump sprayer or bucket as this product can build vapor pressure. Spray or mop onto surface within 2 hours of combining the solutions. Allow product to remain on surface for a minimum of 2 hours. May take up to 24 hours to see full results. No rinsing required.